A high end titanium quick release skewer designed in accordance with ENVE’s principles of light weight, durability and aesthetics. 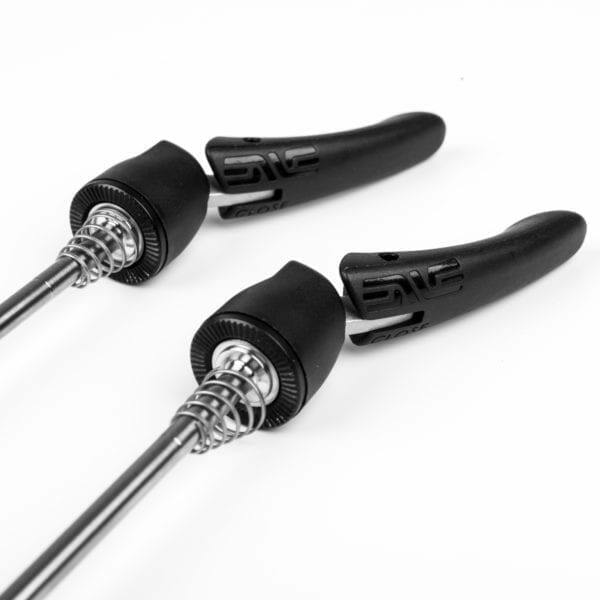 The ENVE Ti Quick Release is available in 100/130mm length for rim brake road wheels. 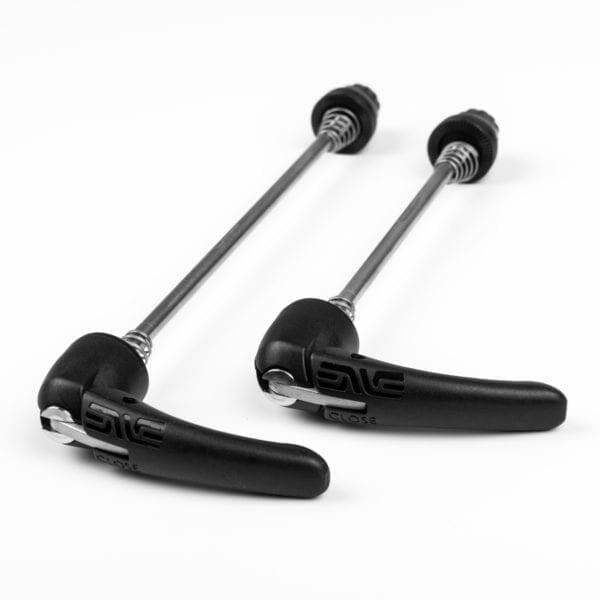 With a weight of 87g per pair, the strong and easy to use clamp lever will keep your wheels anchored during the hardest pedalling and braking efforts. Riders looking for even more stability from their road wheels should consider the DT Swiss RWS quick releases. 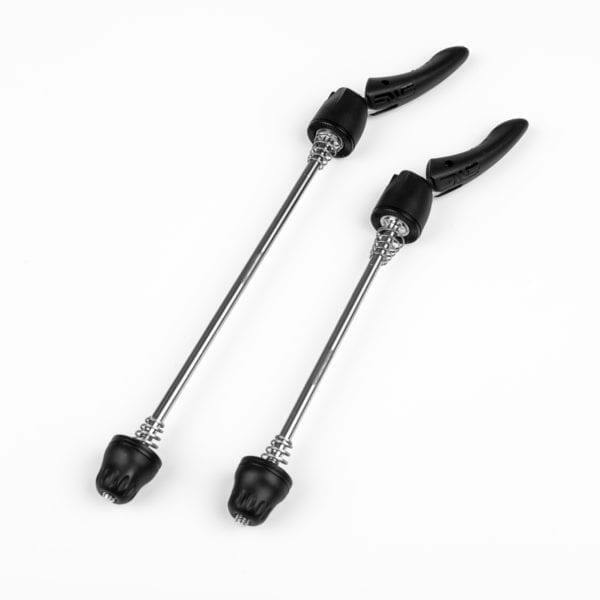 A quality set of quick releases is essential in stabilising and stiffening the dropouts of a road bike, anchoring your wheels and helping to reduce any brake tap. 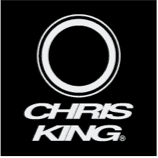 While it's true there are lighter options out there, they can't match the performance and durability of anything I recommend for my wheels.